Phil Mack, the Seawolves' player-coach, was originally hired as an assistant. 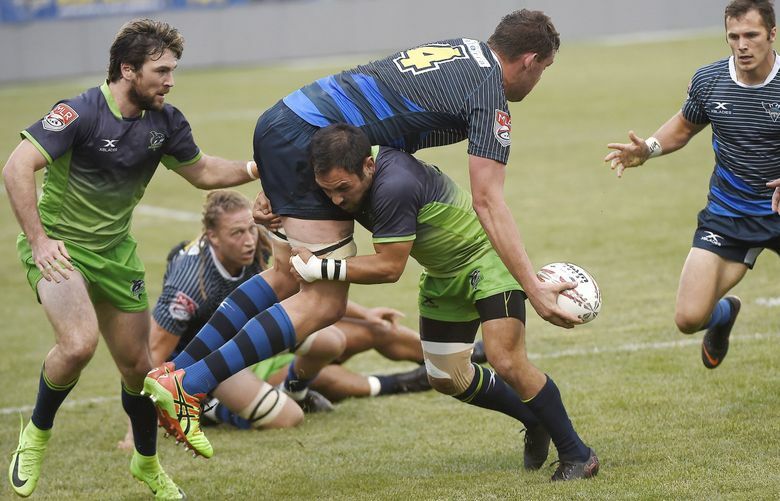 But he's shown this season that he's more than up to the task, leading Seattle to the MLR championship game in its inaugural season. Phil Mack taking the reins as head coach was not Plan A for the Seattle Seawolves rugby team, but Plan B has worked out A-OK.
Mack was forced to become the team’s player-coach just before the season opener after the Seawolves’ first choice for the job, Canadian coach Tony Healy, had his visa application denied. Mack — on the roster as a scrum half and originally hired as one of Healy’s assistants — was elevated to the head job. He has guided the first-year Seawolves to Saturday’s inaugural Major Rugby League championship game against the Glendale (Colo.) Raptors in San Diego. The 32-year-old Mack has coaching experience, mostly at the youth level, where he can help get kids interested in the game. He sees it as a way to stay involved in rugby once he is no longer able to play. The opportunity to be in charge in Seattle was unexpected, but it’s a challenge he has embraced. Having a teammate who is also a coach, has been an adjustment for the players. Seawolves fly-half Shalom Suniula has played for player–coaches before, and says the situation doesn’t always work out so well. In Seattle however, the Seawolves’ Plan B isn’t causing any problems. Mack has straddled the line between teammate and coach, and has done so successfully. While watching film as a player, Mack needs to figure out how his own skills match up best against the opponent. As a coach, he watches to determine how to effectively use all his teammates during the game, which is not always an easy task. Sometimes he has to deliver unwelcome news. For instance, there are 30 players on the roster, but only 23 get to dress for each game. Now there’s one big game to go. The Seawolves have played Glendale, the regular-season champion, twice this season and lost both games, 19-15 on April 28, and 33-11 on June 16. But Mack is confident about round three.